Set in a prime location of Bishkek, Futuro Hotel puts everything the city has to offer just outside your doorstep. The hotel offers guests a range of services and amenities designed to provide comfort and convenience. Service-minded staff will welcome and guide you at the Futuro Hotel. 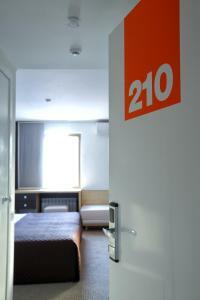 Air conditioning, heating, desk, telephone, television LCD/plasma screen can be found in selected guestrooms. The hotel offers various recreational opportunities. 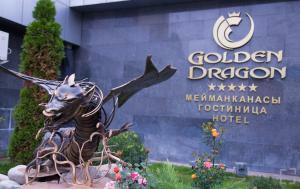 Futuro Hotel combines warm hospitality with a lovely ambiance to make your stay in Bishkek unforgettable.